Here at MandM Glass we are a reliable and friendly company. Owned by Matthew and Matthew, we are a reputable partnership with over 20 years combined experience in the glass, glazing and window trade meaning you can feel safe in the knowledge our professionalism is second-to-none. We offer a comprehensive range of glass related work and services including uPVC Windows, glazing work, coloured glass splashbacks, glass balustrading, Juliet balconies, bespoke mirrors as well as many other services. Our philosophy here at MandM Glass is always high quality workmanship at a reasonable price. Our prices are some of the most competitive around and together with the range of services we offer, we feel this separates us from others in the market meaning you get the best for your money. We are based in Hemel Hempstead but cover a wide area including Hertfordshire, Bedfordshire and North London. We are also willing to travel further afield having completed projects in areas such as Kent, Windsor and Northampton so we don’t mind bringing the best prices to you, regardless of your location. Contact us today to find out what MandM Glass can do for you. 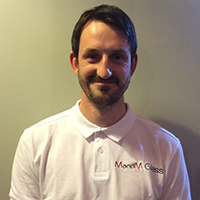 Matthew.S has over 13 years of experience in the glazing industry. 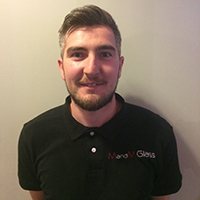 Matthew.B has over 8 years of experience in the glazing industry.